Exercise can help strengthen your muscles, which can ease some of the stress on your spine. Swimming is a great exercise for pregnant women because it’s low impact and the weightlessness you feel in the water helps take pressure off the spine. Simply taking a few laps up and down the pool can help strengthen the muscles in your core, back, arms, and legs. Prenatal yoga is another good exercise to prevent pregnancy pain. 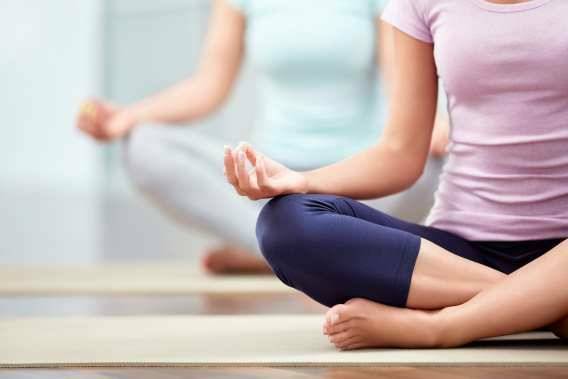 Not only can prenatal yoga help relieve pain in your muscles, back, and joints, but it can also help you improve your posture and manage emotional stress with breathing exercises. Sleep is important to maintain good health during pregnancy. Unfortunately, an achy back can sometimes make sleeping difficult. Sleep on your side instead of your back. To help prevent pain in your back, try sleeping with a towel folded lengthwise and placed perpendicular to your lower back. This can give you some extra support when you sleep. Or, try placing a pillow between your knees to cut down on the strain on your lower back and pelvis. A maternity belt is a supportive undergarment that helps hold up your belly so you have less strain on your lower back. The belt essentially acts as extra support for your abdominal core muscles when your belly protrudes forward and creates more weight for your spine to hold up. Alternating between heat and cold on your back is another strategy that can help relieve pain. Start by placing a cold compress, such as a bag of ice, on the painful area of your back for about 20 minutes several times a day. Then, after two or three days, switch to heat from a hot water bottle or heating pad. Just make sure you don’t apply any heat to your abdomen during pregnancy. Along with the previously mentioned practices, complementary treatments, such as physical therapy, acupuncture, and chiropractic care, can offer some back pain relief. Chiropractors use exercises, joint manipulation, and soft tissue work help joint misalignment, nerve compression, and muscle tightness in pregnant women. Not only can acupuncture help with back pain, but it has also been shown to help digestion, bring relief from morning sickness, boost energy levels, and relieve migraine headaches. While back pain during pregnancy is common, that doesn’t mean you have to suffer. If you’re feeling some of the aches and pains in your back that go along with pregnancy, try a few of these tips to get some relief.